This sweet Little Bird on a Tree Branch is simple and can go just about anywhere! 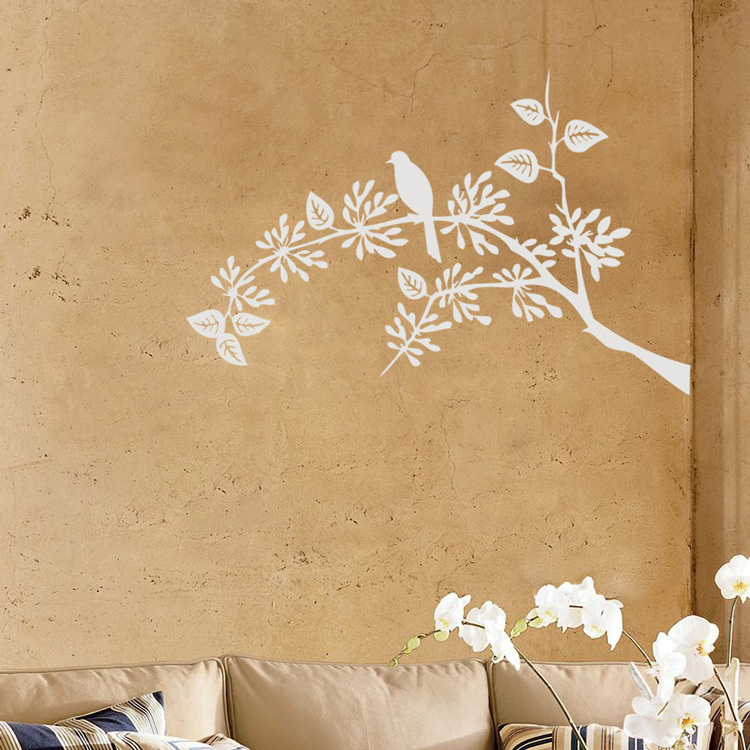 Our wall decals are ideal for bedrooms, playrooms, gyms, offices, living rooms, entryways, classrooms, even your car or glass shower doors! 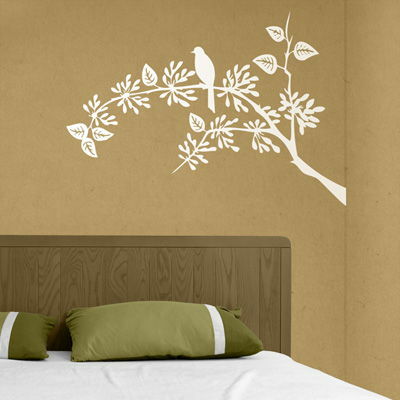 This branch decal measures 22 inches high by 32 inches wide. This decal comes in one piece, ready to apply! I absolutely love this decal and have received SO many compliments on it already. (I ordered the cherry blossom tree!) DaliDecals shipped it to me very quickly and sent everything I needed (and then some!). Can't recommend them enough.